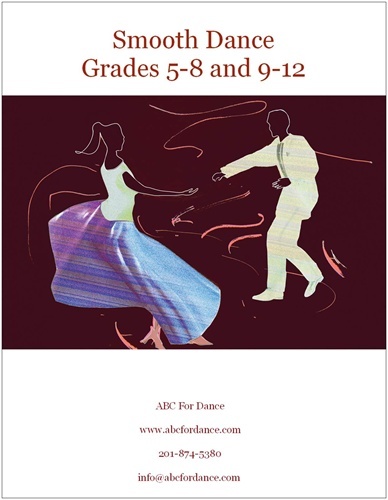 Smooth Dance for Grades 5-12 includes the dances - Foxtrot, Waltz, Tango and Quickstep. Areas covered are : Dance Position, Patterns, Technique for Smooth Dance, History of Each Dance, Exercises / Combinations, and Use of Music. The lessons are designed to be taught in an academic school setting without the need for mirrors and special footwear. The syllabus includes 30 lesson plans, a resource list and student / class tracking. This product is available right away with instant download. If you would like either the backup files on CD or the paper copy of the manual, please add those options to your cart. CD and manual options will be shipped by USPS mail and any related shipping fees will be added at checkout. This syllabus is specifically designed for use in academic middle and high schools in the United States. Material is not designed for use in a private dance studio setting. This product contains a pdf bundle or package. If you have an adobe acrobat reader that is older than version 8 you may not be able to see all of the files correctly. You can download a free upgrade to the most current version of adobe acrobat reader here http://get.adobe.com/reader/otherversions/. Introduce the life skill of social dancing to your students. 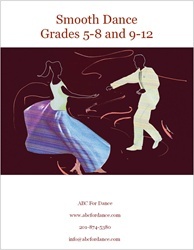 Bring the resurgence of ballroom dance into your classroom. Encourage working as partners through a fun activity.